At Dream Construction of Las Vegas, we are the general contractor to call for professional insulation removal and installation. Whether you have a new build, are tackling a remodel, or need to replace existing insulation, we have the expertise and equipment to get the job done right. We don’t always think about what is hidden behind our walls and how it affects our comfort on a daily basis. The correct insulation, properly installed by experts, can make all the difference in both energy costs and effective temperature control in your home. 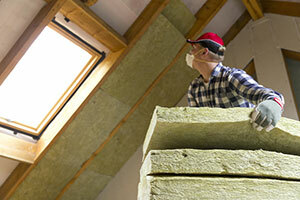 New construction is the time to put serious thought into what kind of insulation to use in your new home. The type of insulation you use can impact your home’s heating and cooling efficiency. The insulation installers at Dream Construction have the expertise to help you choose the insulation system that will work best to lower energy costs and save you money on your heating and cooling bills over the years. Water leaks through the roof or into the walls causing possible mold or mildew growth. Birds, raccoons, or other rodents have been making their home in your attic or basement. Existing insulation is old and crumbly, making it no longer effective. Your house is drafty or losing heat. To make protect your health and safety, insulation removal and installation is best left to the professionals We have the tools and training to deal with the potentially hazardous materials found in most insulations. Our installers take the precautions necessary to minimize both mess and exposure for our clients. With over 20 years of experience in the construction industry, the team at Dream Construction offers excellent results for all of your custom building projects. Our use of high-quality materials combined with our expertise ensures that the installation of your insulation will be done safely, efficiently, and correctly. Give us a call to schedule your insulation removal or installation appointment in Las Vegas today.